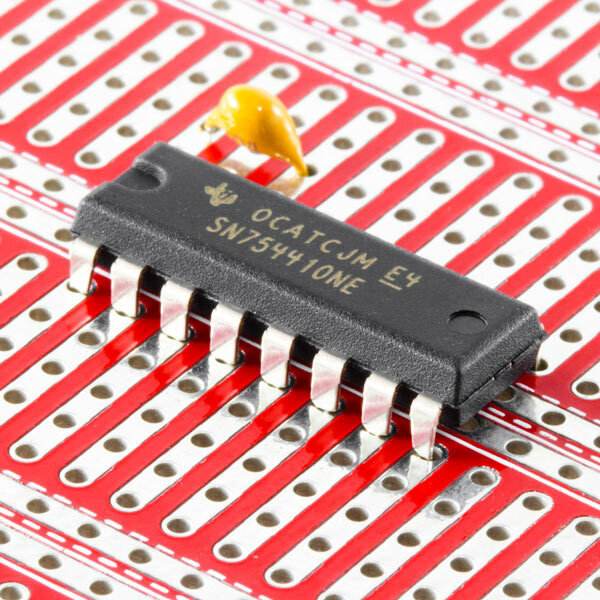 SKU: PB-MC-AVR40 Category: Microcontroller Boards Brand: Protostack. 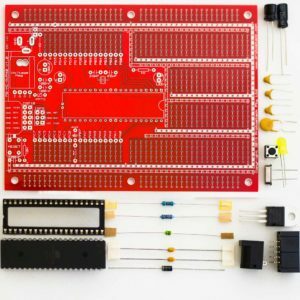 This board allows you to quickly build Microcontroller circuits for 40 pin AVR Microcontroller such as ATMEGA16, ATMEGA32A and ATMEGA1284. 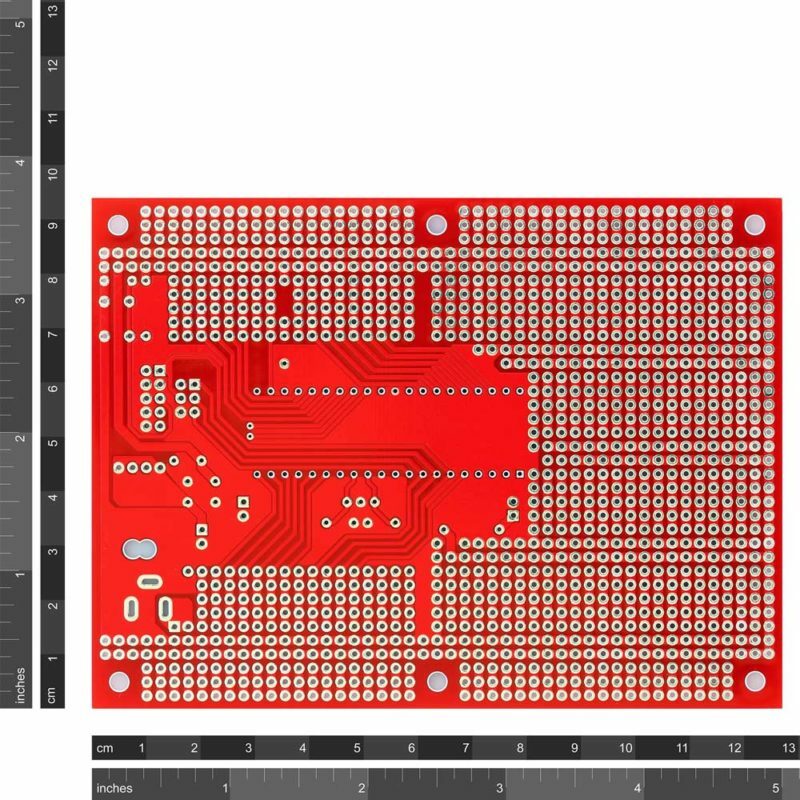 Half of the board is dedicated to the microcontroller, whilst the other half resembles our standard prototyping layout and can be used to build your circuits. 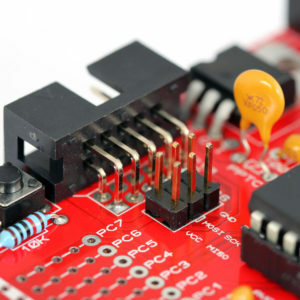 The board supports a 10 or 6 pin ISP connector to program your microcontroller, a power supply, a reset button, external oscillator and a low pass filter for AVCC. 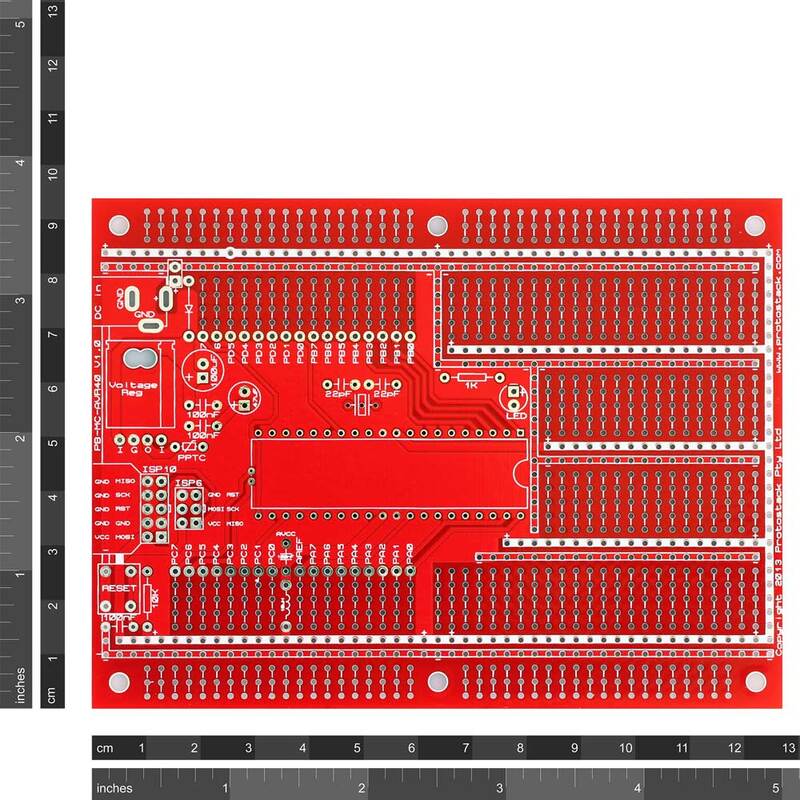 As with our other prototyping boards, it also has power busses, connection strips on the outer edge and many other features. These are listed in the features and benefits section. 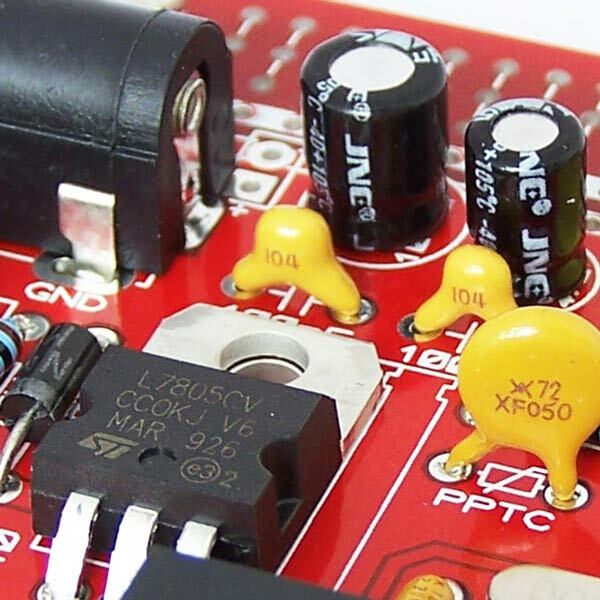 The full list of supported microcontrollers is listed in the specifications section and the datasheet. 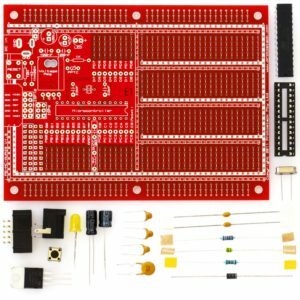 The prototyping area on this board is based on a standard breadboard with a few of our own improvements. Power busses are available in the gap were DIL components usually sit. 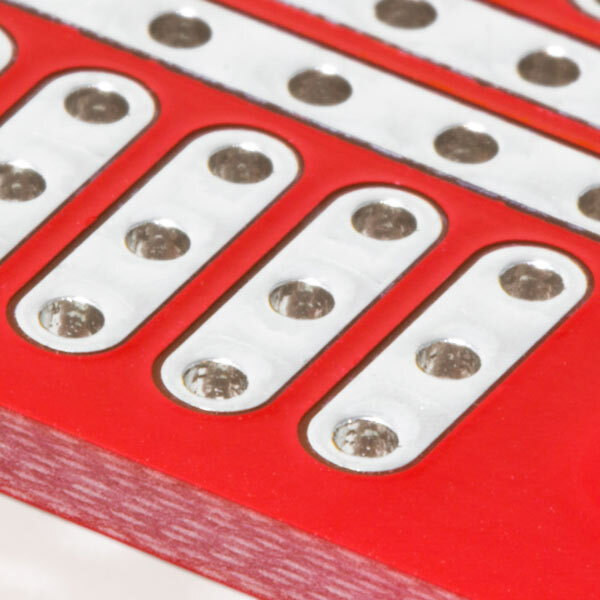 This provides more flexibility for component placement and allows for more options for connecting power to components. Screen printing on the board top clearly shows power busses and connection points. 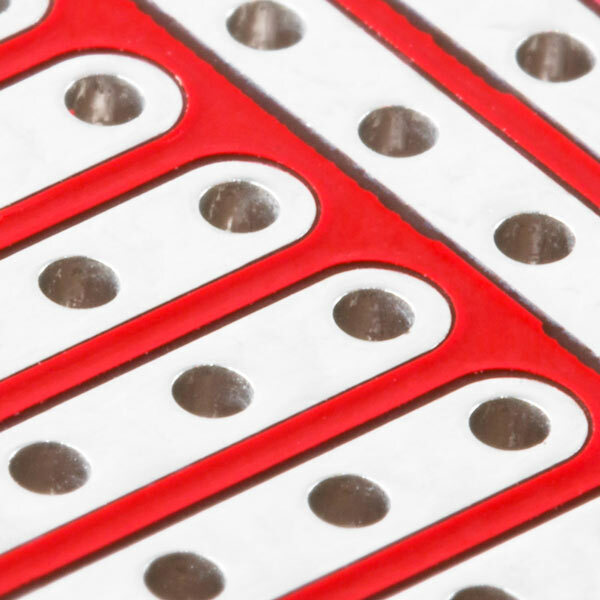 Positive power rails are marked in solid white while the ground rails are marked with a white outline. Most Protostack protoboards have sets of 3 connected pads on the top and bottom edges. 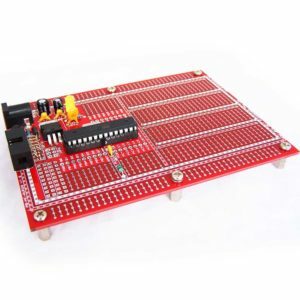 These are used to interface each board with the adjoining board above/below or to interface the board with an external system. 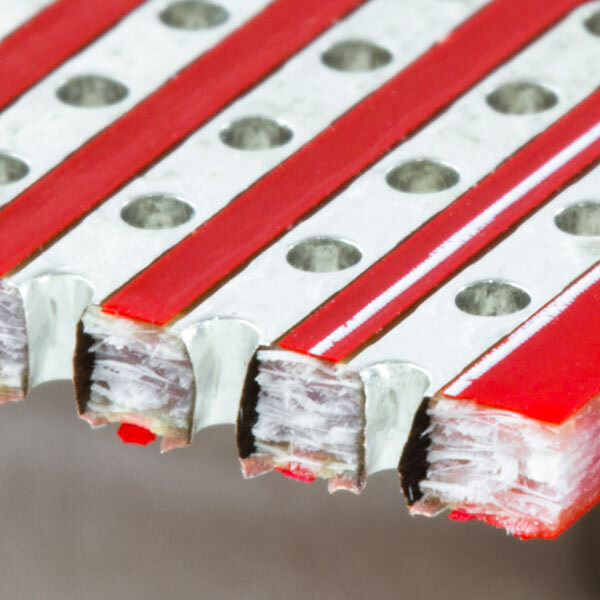 These strips can also be used as regular breadboard style connection strips. 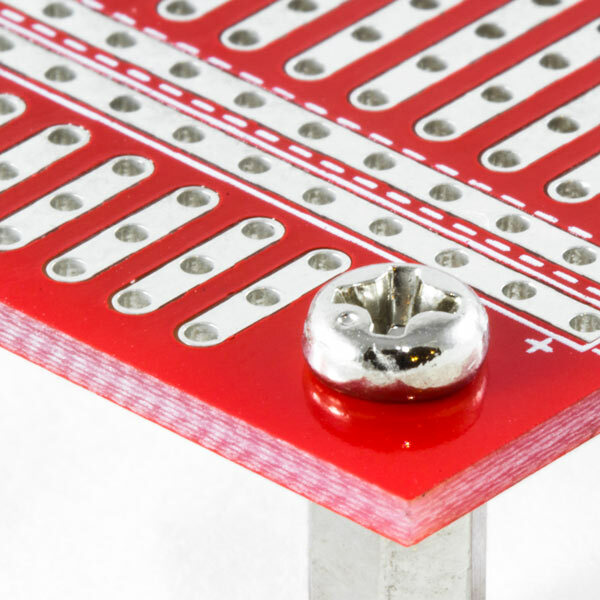 Protostack large boards have a standard size with 6 mounting holes on the top and bottom edges. This allow the board to be stacked with other small, medium or large boards using hexagonal spacers. You can read all about board stacking here. Hot Air Solder Levelling (HASL) is a process where the board is immersed in a molten tin-copper alloy then levelled with a hot air knife. This prevents the copper pads from oxidising makes it easier to solder. 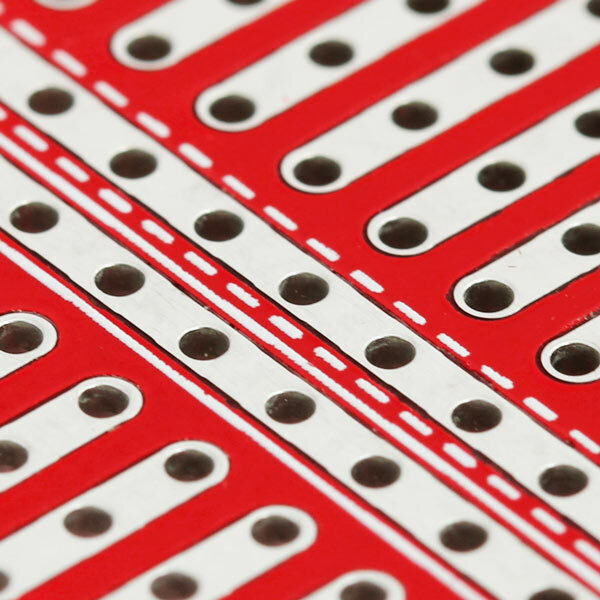 All holes are plated with copper then treated with the lead Free HASL pad treatment. This increases the surface area for the solder and capillary action improves solderability. The end result is a stronger more reliable connection. 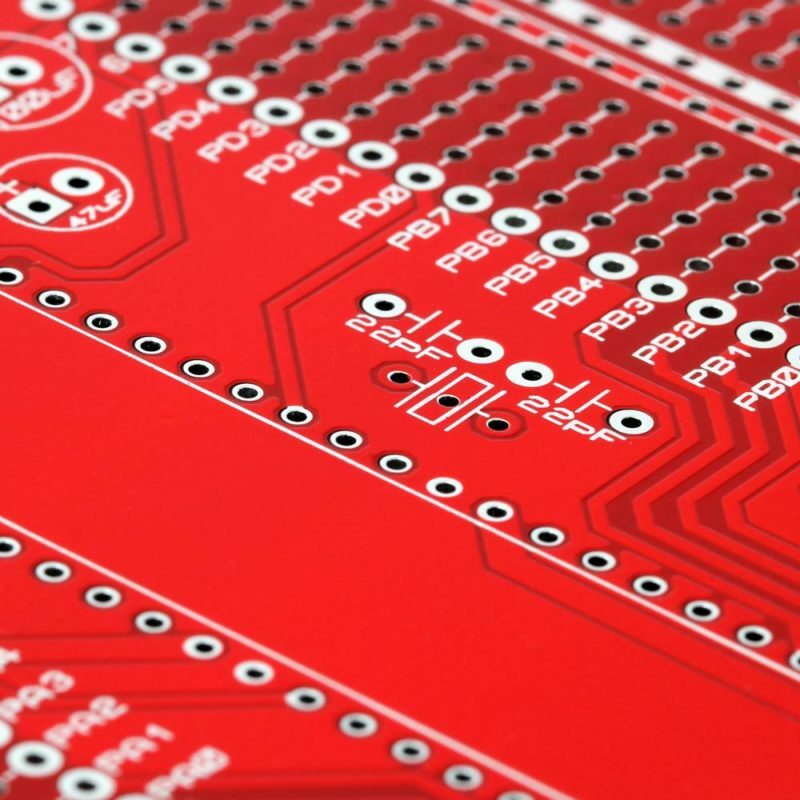 We use quality FR4 fibreglass board material unlike the paper based phenolic material that is found in many prototyping boards. Fibreglass reinforced substrates have a much higher strength that paper reinforced boards and are more resistant to cracking or breaking. The FR4 material is usually a light grey/green colour. 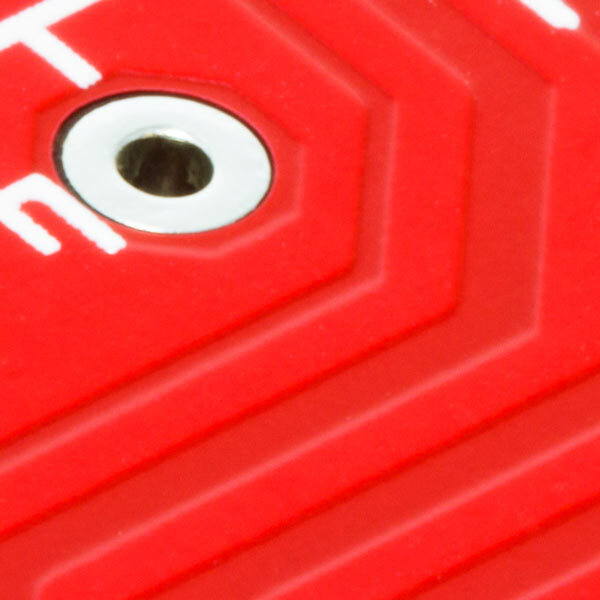 A red lacquer-like layer is applied using a silk screen but this isn’t just about making the board look good. 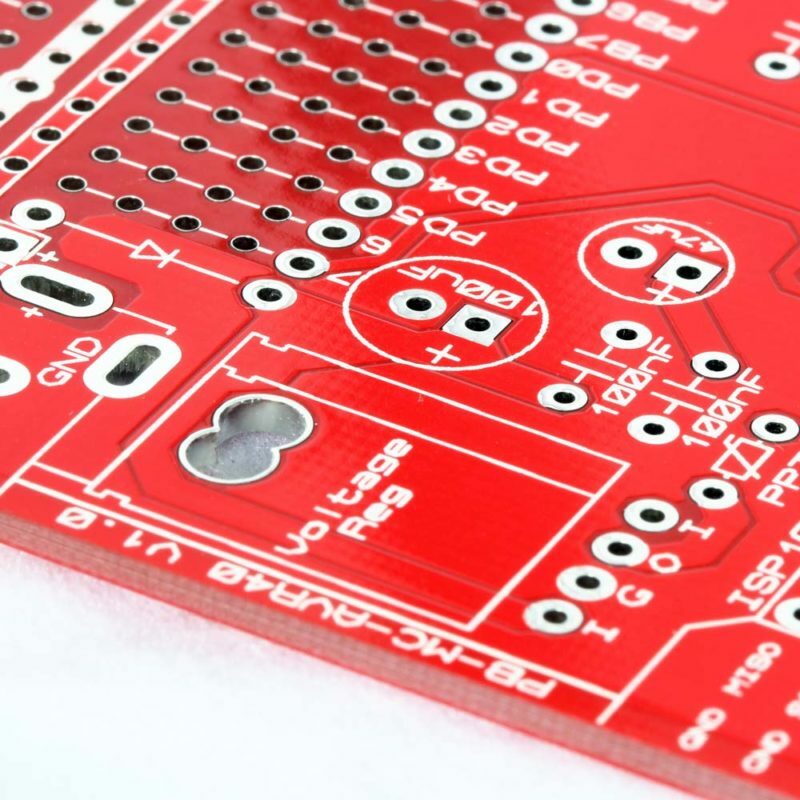 For the non-solderable copper tracks the solder resist helps to prevent oxidation. 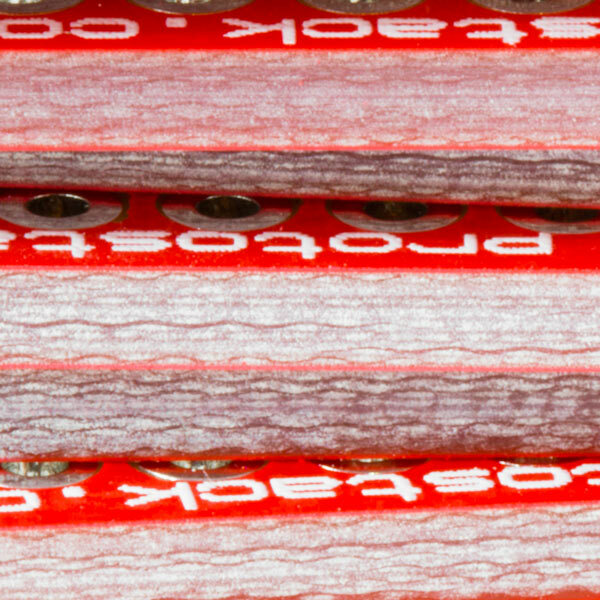 The solder resist also help prevent bridging between 2 adjoining pads.